"Is that Ryan Reynolds down there?!" There's a saying that perfectly sums up why I started this blog all those years ago... "those who can't do, write". And truth be told, I don't even write that good! Better than I play the guitar mind you. 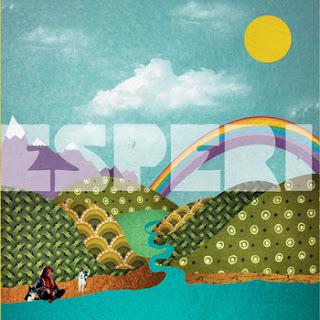 So I'm always a wee bit in awe of those who can do both, and more besides, especially when it's one of the country's finest solo artists... someone like Chris James Marr, the man behind Esperi. I've not featured Chris half as much as I should have, given the quality of everything he's released, from his double A-side brought out by Olive Grove Records a while back, to his two recent releases, his Melancholics Anonymous EP and the brilliant debut album In A Moment, Emotion, Sentiment. Here's what Chris had to say about them when I put a few questions his way. Chris: Esperi is generally just me but I've always liked the idea of having a band name and collaborating with other people, so that's the reason I play under an alternative name, and I like to sometimes play full band shows when I can, or bring along a string section etc. 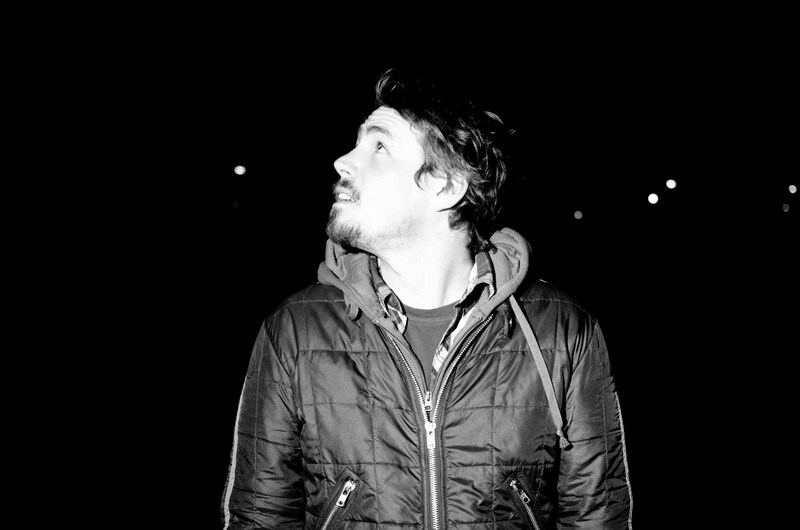 Kowalskiy: You've just released an album (In a Moment, Emotion, Sentiment) and an EP (the brilliantly-named Melancholics Anonymous) in quick succession. What can you tell us about them? Chris: 'In a moment emotion sentiment' was a studio project I started with my good friend Robin Sutherland which features some guests and the Melancholics Anonymous EP was something I made at home alongside it, 'In a moment... features the main music from my current live shows and I have the Korda String Quartet and other string players and Jon from Vasquez playing some drums, Kev from Laeto/Fat Goth playing some bass, Ged from Deacon Blue playing some double bass, whereas the EP I played everything and recorded it all at my home set up and I'm pretty happy with the sound, it's not too lo-fi [hehe]. Kowalskiy: The one common link between them is the gorgeous Homer. What inspired you to write a song about the great man himself? Kowalskiy: So what does your dad make of being immortalised in a song as beautiful as Homer? Chris: My dad's pretty chuffed. He likes it. He has the album in his car [hehe]. Kowalskiy: Homer aside, who/what/where/when are your main inspirations and influences on your music? Chris: That's a lot to fit in but the people around me and the artists I like, my life and experiences, home and now. Kowalskiy: Another one now, inspired by one of your EP tracks, Come Dine With Me... who'd be your three ideal dinner guests? Chris: Yeah 'come dine with me', I'd like to have David Attenborough, Robert Silverberg and maybe Brian Eno, some good chat there. Kowalskiy: ...and on that 'ideal' theme, what would be your ideal gig? Chris: Yeah I've got a bunch of shows booked round the UK so just constant touring really as much as I can. I love playing live. Kowalskiy: What can we expect from Esperi in the future? Chris: Well I'm hopefully going to start recording some new stuff soon, not sure what to expect myself yet I'd quite like to experiment with the new songs I have and just see, maybe multiple versions and collaborations too and I've always got live shows I don't really take a break from that :-) Thanks Kowalskiy, all the best! You are very welcome! So that's that then. 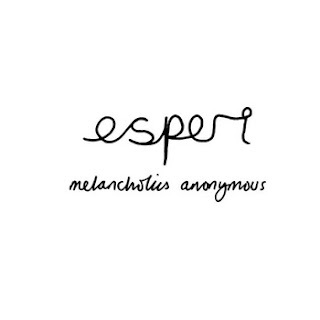 Melancholics Anonymous and In A Moment, Emotion, Sentiment are both out now, so head over here. And, as Chris said above, he's "always got live shows". If you're in the area, here's where you can find him. An extremely talented performer with a great future.